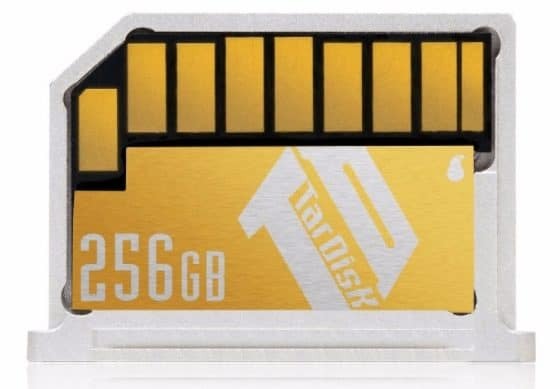 The TarDisk 256 GB Storage Expansion Card fits in all MacBook 13" Ai devices. We've reviewed some of the latest products that can make your travels more comfortable and more efficient. Try these out for your summer travels. Don’t run the risk of losing all your files, music, and photos. TarDisk allows you to increase onboard MacBook storage, allowing it to double in size. All of your MacBook content stays protected inside TarDisk. Inserting your TarDisk into your MacBook expands the hard drive up between 128GB to 256GB of integrated storage. Working at 90MB/sec, it is efficient and does not slow down your computer. On your feet all day? The comfort of these slippers goes unmatched, from their breathability, to arch support, to cushioning. 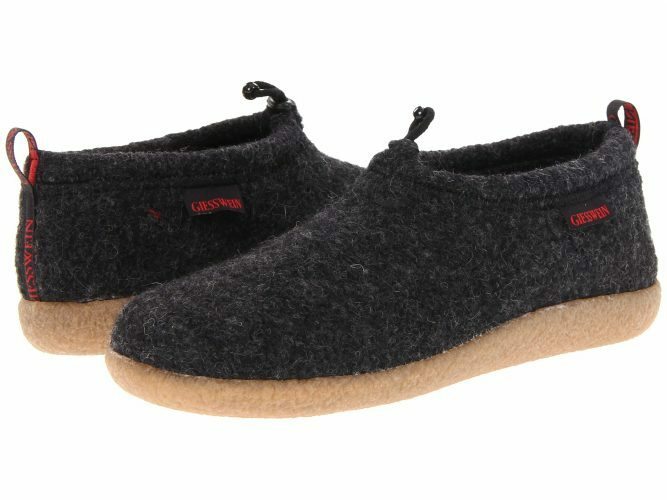 They are made from 100% natural boiled wool and suede leather lining. The patented footbed can easily be removed to put your over-the-counter orthotics footpads in instead. Editor Max Hartshorne has been wearing these non-stop since they arrived in the mail! The Giesswein Loafers are available in several different styles and colors. The loafers are their most popular. The slip-resistant, non-marking waterproof rubber outsole means only the best durability even when you’re on your feet for hours at a time. The arches are higher than in regular slippers, providing a nice comfortable arch support. And even better, because of the natural material, they’re machine washable. These adventure gloves are perfect for both indoor and outdoor activities. Unlike regular gloves, they provide your hands with full protection while remaining light and easy to move your hands in. The come in a garishly bright orange color, but they're great for the garden or other messy jobs. They are water and oil proof, and moisture, cut, and abrasion resistant, which makes them long-lasting and durable. They’re the perfect gloves for all sorts of tasks, from working on automobiles to logistics construction, to working in the garden, to drilling or oil extraction. This is a wallet designed for the 21st century! Forget the bulging wallets of the past, this Wally Euro wallet includes a place for dollar or euro coins and has a tab that slips your cards out when you need them. I've been using a DistilUnion wallet for six months, and love it. It has a unique feature called "FlexLock" that ensures none of your valuable credit cards or license can slip out, even after using for a while. When was the last time you bought a new wallet? This might be the right one! But truthfully, wouldn't you rather be sipping out of a metal or ceramic container? 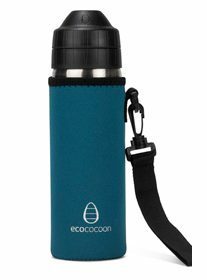 Ecococoon offers several new products that not only can be filled with cold, filtered water for your flight, but they have a handle and a nice insulated cover. $44.00 plus $15 for the cover. Ecococoon Iconspeak water bottle. $44.00 plus $15 for the cover.